Dr. Badyal has been very actively working the area of medical education for more than 12 years. He is program co-director of CMCL-FAIMER regional institute, Ludhiana. This is one the 6 regional institutes of FAIMER (Foundation for Advancement in Medical Education and Research), Philadelphia, is a non-profit organization of ECFMG (Educational Commission for Foreign Medical Graduates), USA. This centre provides fellowships in medical education. 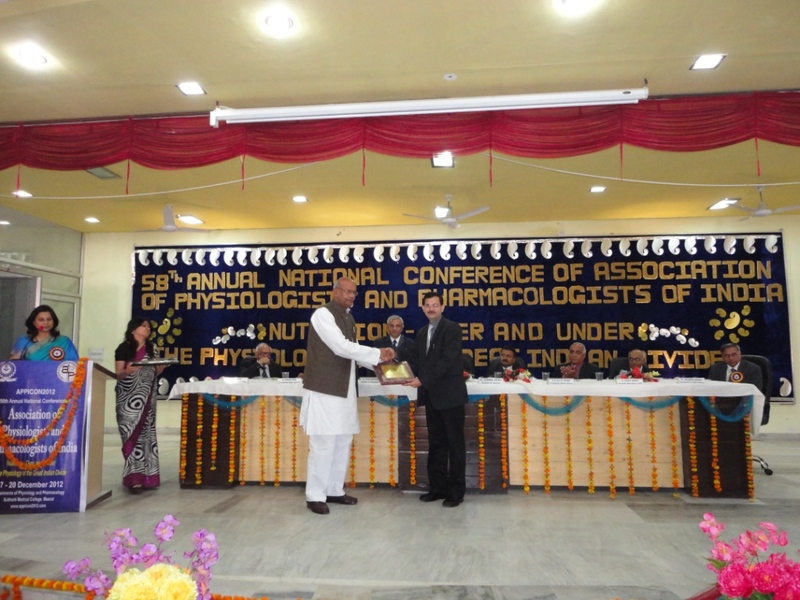 He is co-convener of Medical Council of India (MCI) Regional centre for Faculty Development, CMC, Ludhiana. In his oration Dr. Badyal explained the evolution of training programs for medical teaches in India. He added that more and more doctors are being opting to get trained in faculty development as the awareness has increased and regulatory agency is making it criteria for teaching appointments. With accreditation becoming a norm, soon the trained faculty and faculty development program will be much sought after. The whole consortium of trained faculty and feedback from students and faculty is contributing to evolution of medical education in our country. Next Next post: Dr. Chetna Desai elected as Chief Editor of Indian Journal of Pharmacology.